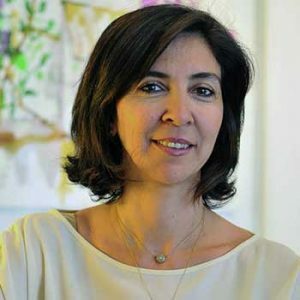 Joumana Dammous Salame is the managing partner of Hospitality Services, the company she co-founded in 1993 with her father Nouhad Dammous. She has achieved success in the most visited and respected fairs and exhibitions in Lebanon and the region. Among those are Horeca, the Levant’s annual hospitality and foodservice industry meeting place for trade professionals established in 1993 with franchises in Kuwait, Saudi Arabia, and Jordan, The Garden Show and Spring Festival, Beirut Cooking Festival and Salon Du Chocolat. She also works on the publications of Hospitality News Middle East, Taste and Flavors, Lebanon Traveler and Hospitality and Foodservice Directory for Lebanon Syria and Jordan. Other important initiatives include the Beirut Capital of Taste, the Gourmet Week and the Hospitality Race.